1. Click "Registrations" in the top menu bar and then click "Payment Configuration"
3. Fill in the details as required. It is a one page document and the fields with an asterisk next to them are required fields. Please make sure you have this file available before beginning this process. Once all fields have been filled out, click the I Agree button. 4. 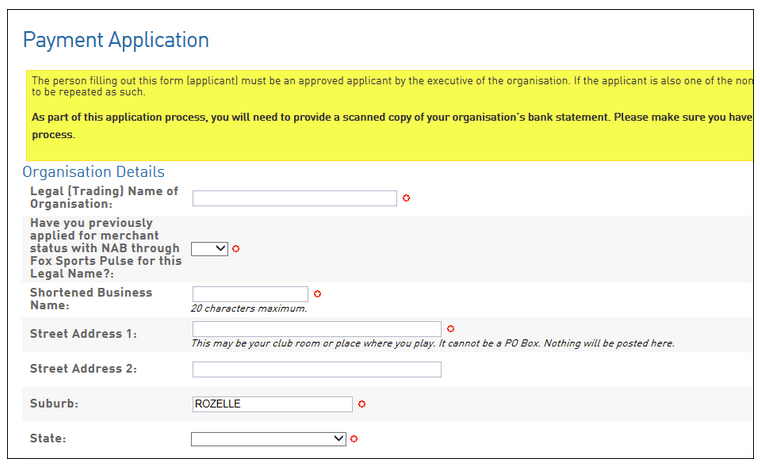 Your details will now be passed onto SportsTG and you will be notified once your Sub-merchant set-up has been approved. Once approved, you now have the ability to start receiving payments.